eTags provides fast and easy online vehicle registration services. Enjoy a refreshing online experience and renew your vehicle registration on eTags.com today! You don't have to take time out of your day and stand in line for your vehicle tags. Let eTags process your vehicle registration renewal fast, online. Once your order is shipped, you can print a PDF copy of your registration certificate sent via email to carry with you while you wait for your hard copy to arrive. If you lose your vehicle's registration certificate, we provide a free one time replacement for every year you renew through us. If your sticker or plate is stolen, we send you a replacement for FREE* for every year you renew your registration through us. We send you annual reminders (and a Happy Birthday) when it comes time to renew again. You can even request to receive bi-annual reminders or cancel all email reminders if you prefer. There are several issues that can prevent you from being able to renew your registration like a suspend license, parking tickets and more. We help you identify those issues and resolve them. We provide comprehensive support over the phone or via email Monday through Friday from 9am to 5pm to assist you with order status and more. Our friendly customer service staff will answer any questions you have and help resolve issues. 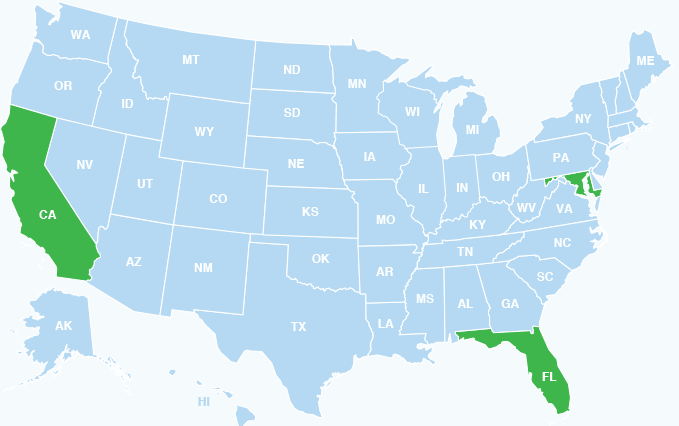 If you prefer shipment of your renewed registration to a state other than where your vehicle is registered, we gladly accommodate that request without additional charge or shipment fees. Registration renewal fees and the required forms vary by state. Fees are determined based upon a number of different factors including the vehicle make, its weight, the intended use and more. While many counties issue annual reminders by mail, this is not a requirement in any state. eTags customers automatically receive renewal reminders by email for which preferences can be modified. States provide a grace period of 30 to 90 days before the expiration date allowing residents to renew their tags. With eTags, renew anytime within your grace period or even once your tags are already expired and get a digital copy via email. The number of months or years you can renew for vary by state. Most states offer a 1 year renewal term with any amount of options in-between from 6 months renewals to up to 4 years in some states and for some type of vehicles. If your registration certificate, license plate, or tag sticker is lost, damaged, or stolen, you must obtain a replacement. eTags gets customers get one free replacement each year they renew with us.